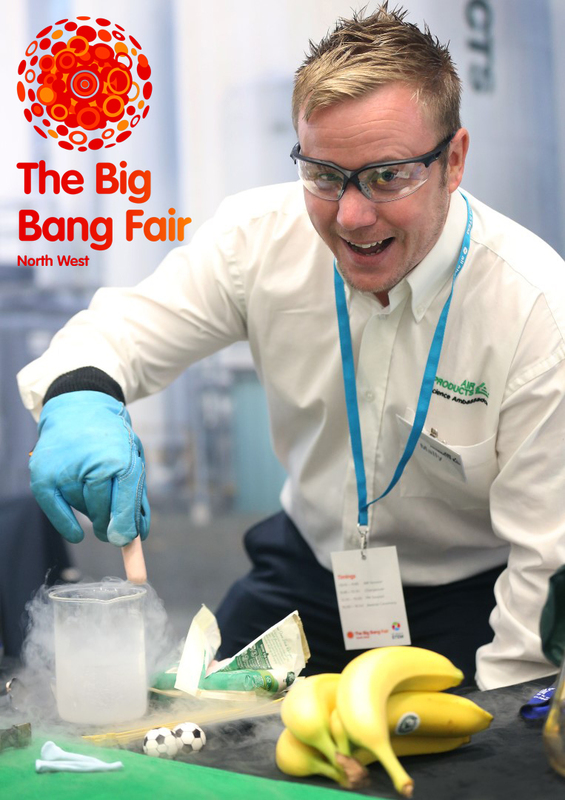 Big Bang North West 2017: Excitement, Experiments & Big Bangs with Air Products! WOW! 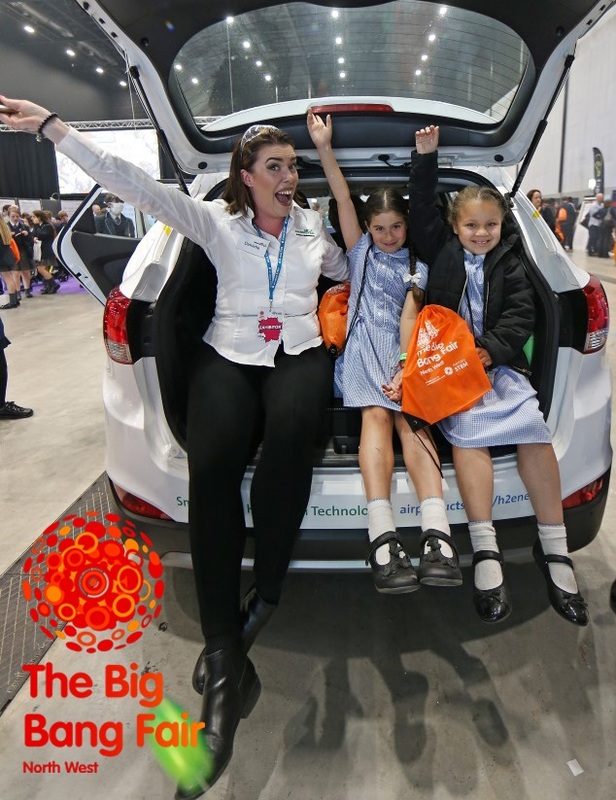 Our Platinum Sponsor brought booms, bangs and fizzes to this year’s Big Bang North West. 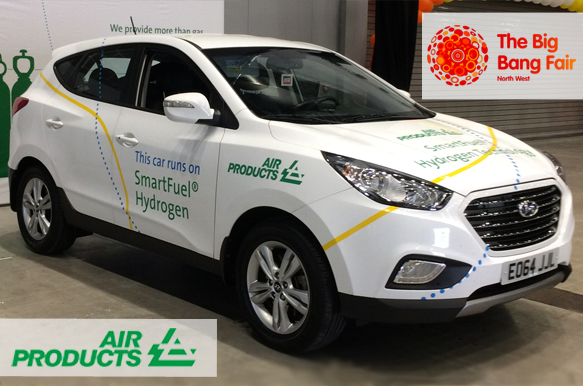 Visitors flooded to see their hydrogen car and you couldn’t miss their stand, their experiments literally erupted! Did you make a BIG BANG with Air Products? 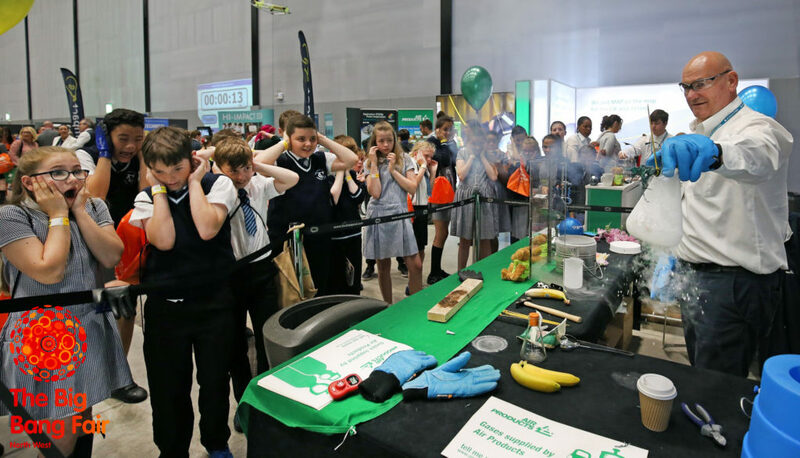 The Air Products stand included an array of activities with areas for liquid nitrogen demos, modified atmosphere packaging, food analysing, ‘make a blu-tack nail and banana hammer’, checking the amount of oxygen in food and simulated welding. The team also brought along their hydrogen car, which was very popular with our visitors! Air Products had a huge 7-meter photo of a plant, which was a great backdrop for their selfie frames. The students dressed up in PPE and pretended to be working at their plant. There was a ‘What’s the question?’ test tube quiz with prizes and we an interactive table showing lots of information about Air Products. 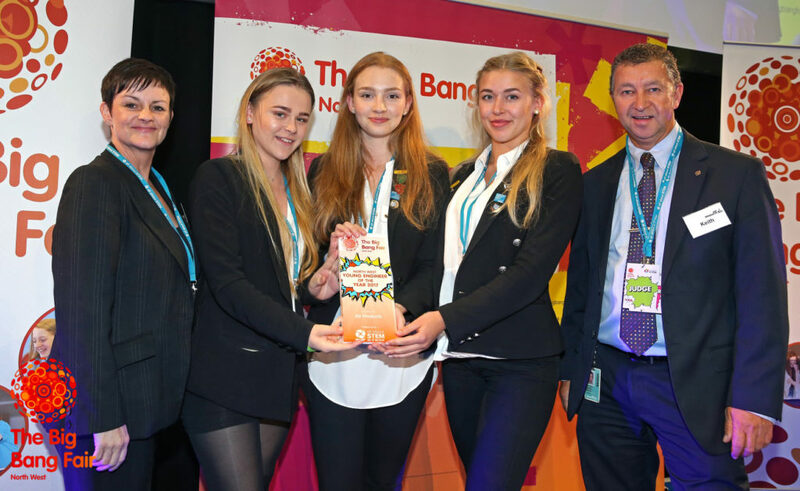 Along with being our Platinum Sponsor, Air Products sponsored the North West Young Engineer of the Year Award as part of the Big Bang UK Young Scientist & Engineers Competition at The Big Bang North West 2017. What an amazing day and sensational feedback from our Platinum Sponsor and their team. We would like to thank Air Products for their ongoing support… inspirational! Air Products touches the lives of consumers around the globe in positive ways every day. With over 16,000 employees and operations in more than 50 countries, they serve customers across a wide range of industries from food and beverage, health and personal care to energy, transportation and semiconductors. 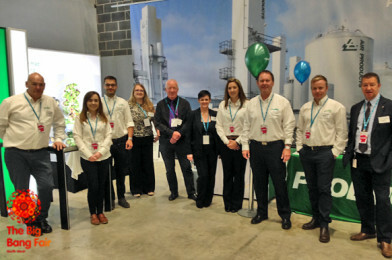 Air Products is one of the UK’s leading industrial gas companies. Their products are used to help produce many everyday items, from liquid nitrogen for food freezing to helium in balloons and breathing gases for underwater exploration.